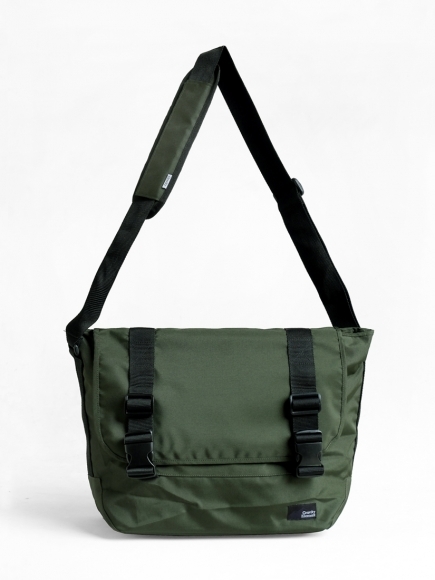 "Project" Messenger Bag has a large main compartment design with zipper closure and 15 inch laptop sleeve inside, the shoulder pad ensure your comfort for carrying heavy or bulky items. Fabrics: Coated polyester filament fabric, waterproof inner lining. Colors: Dark green, black nylon strap. Features: 1 main zipper compartment with, 1 laptop sleeve up to 15", organizer pocket inside, 1 front pocket with zipper closure, 1 rear pocket.